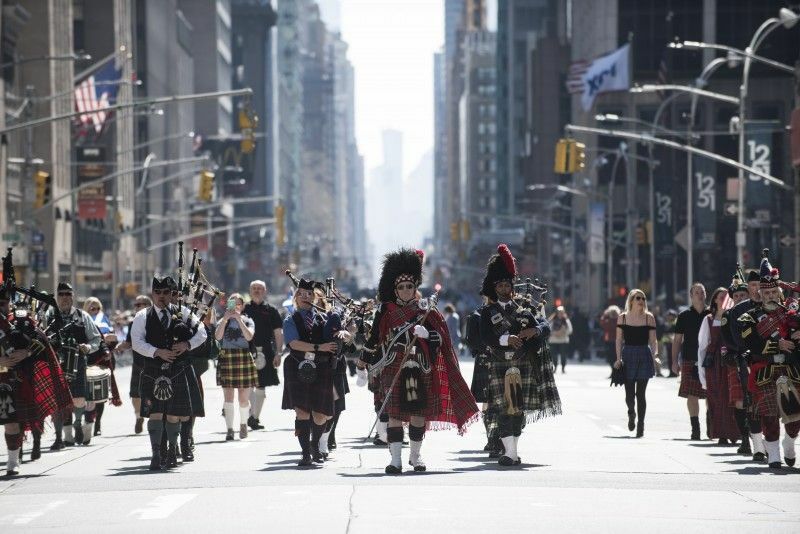 Countless generations of Scots have settled in and helped shape New York City, so it's only fitting that this iconic city hosts the biggest Tartan Week, also known as Scotland Week, in North America. 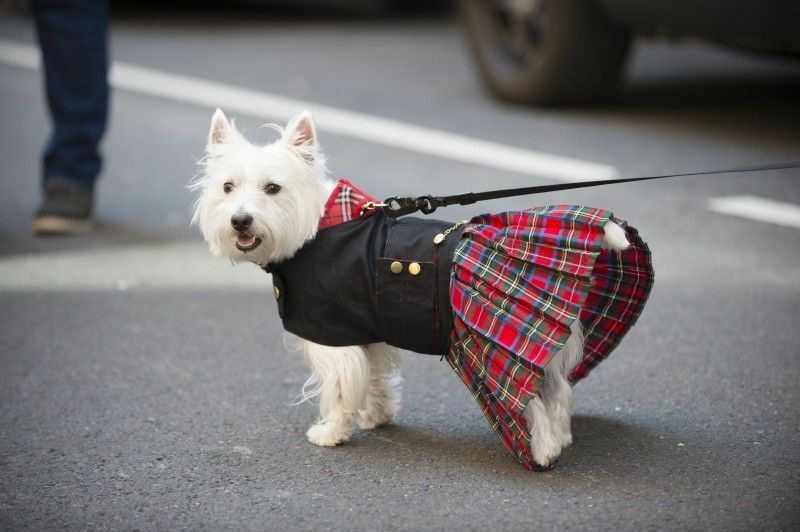 On 6 April in the the United States, many Americans paid tribute to their Scottish roots by donning a kilt and raising glass of single malt to celebrate Tartan Day. Many take a more active role in the proceedings, participating in the local pipe band march or clan gathering. 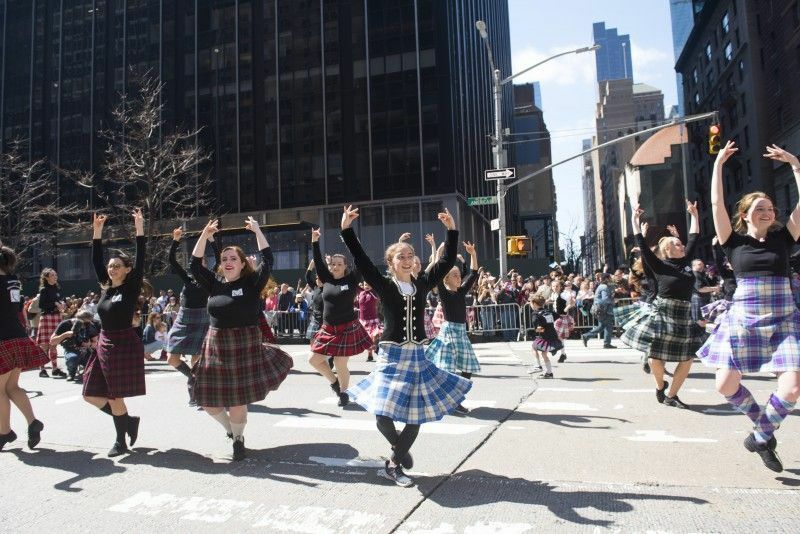 But for an increasing number, this is also a day to make a very special pilgrimage to New York City to celebrate their shared heritage with thousands of others at the world-famous Tartan Day Parade. 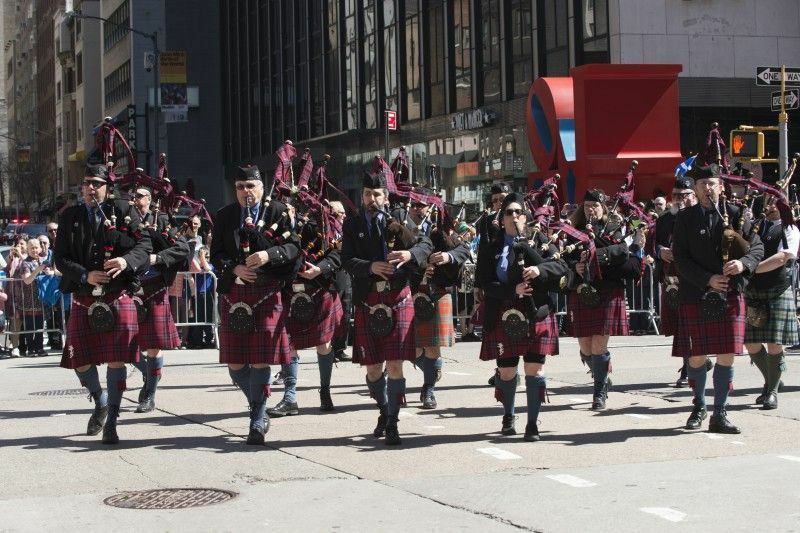 New York is the natural choice for the Tartan Day Parade. From its earliest beginnings, Scottish migrants spanning lowly labourers and factory workers to fabulously wealthy industrialists and financiers, have left an indelible mark on practically every facet of city life - from its architecture and street names to its cultural landmarks and academic institutions. Penn Station, Carnegie Hall, the first medical school in America, King's College - now part of Columbia University; all owe their existence to Scots. And let's not forget wider Scottish influence on America's journey to nationhood. Several Scotsmen did, afterall, sign their names to the Declaration of Independence during the American Revolutionary War. This year, the events programme for Scotland Week provided a fascinating insight into many of these deep-rooted connections, past, present and future. But above all, Scotland Week remains a joyful occasion for lovers of Scotland everywhere to get together, enjoy a dram or two, dance the night away, and experience first-hand the rich traditions, music and pride that make Scotland and its people so special. 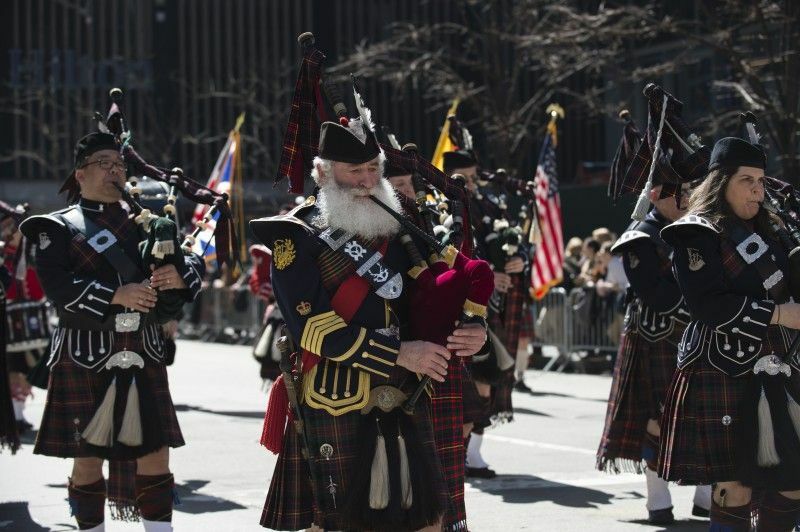 The centrepiece of Scotland Week is, of course, the New York City Tartan Day Parade. 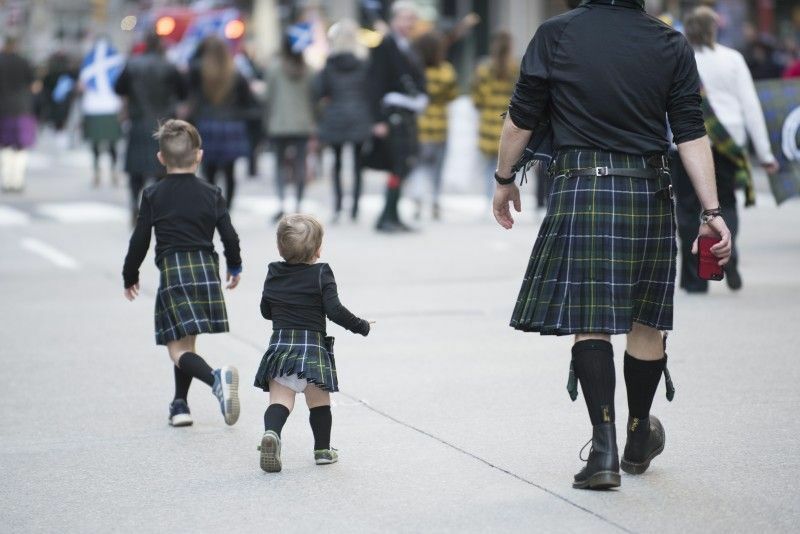 The sight of 1,500 tartan-clad participants, including solo pipers and drummers, Highland dancers, pipe bands and clan chieftains from around the world marching in unison behind the parade’s Grand Marshal down Sixth Avenue, makes this event a spectacle unlike any other. 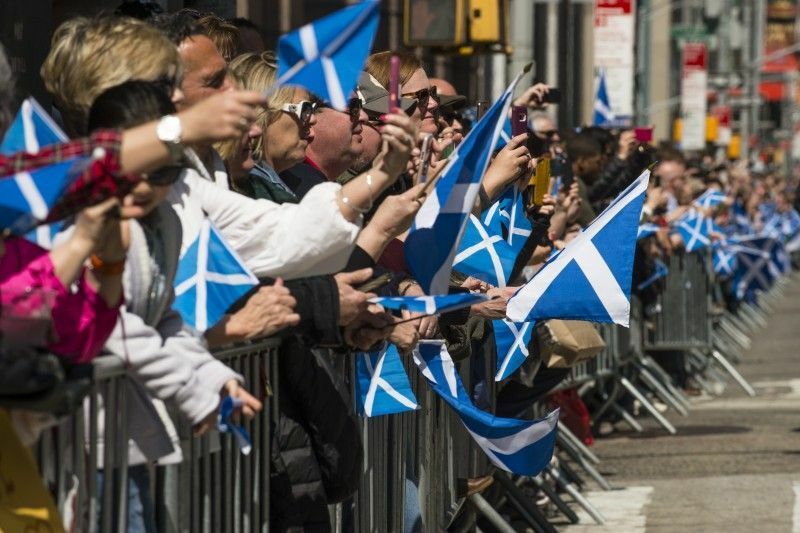 This year was estimated to be the most highly attended yet, with tens of thousands of spectators lining the route to watch this year’s Grand Marshal, legendary comedian Sir Billy Connolly, lead the way. The Tartan Day festivities continue into the evening following the end of the parade. Guests spend up to four hours enjoying traditional Scottish folk music courtesy of Whisky Kiss, Drums 'N Roses, and Elephant Sessions, at the Sony Hall with an unlimited supply of Belhaven Beer on tap. Belhaven is Scotland’s oldest working brewery. Established in 1719, its distinctly flavoured beers and ales are still brewed from the locally grown barley, hops and fresh water drawn from its brewery well set the beautiful coastal countryside of East Lothian. In short, it's the perfect pairing for an evening of toe-tapping Celtic melodies. Those in New York celebrating Tartan Day are also have to chance to attend the Post Parade After-Party at the Tailor Public House to enjoy more fantastic live music and another fine selection of Belhaven beers and ales. The Post Parade Party and After Party form part of the programme for the city-wide festival Migrations: The Making of America. Brought to you by Carnegie Hall, this arts and culture festival explores the contributions of immigrants to the American identity and heritage. 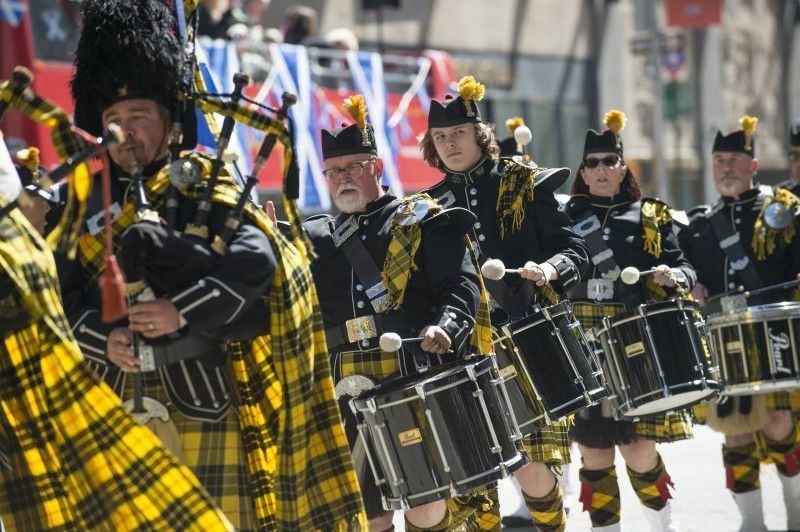 During Tartan Week and beyond the festival showcases a number of free events which delve into the impact of the Scottish and Celtic diaspora on the US and its people. This year’s programme sees academics from leading universities bring to life fascinating topics such as the Scots and their impact on migration and early America, ceilidh dancing and fiddling workshops, a pre-Tartan Day ceilidh hosted in the Highline Ballroom, a pan-denominational service and brunch held at Brick Presbyterian Church, performances by talented young pipers and drummers on the Fountain Terrace of Bryant Park, and a fascinating exhibition at the Rose Museum on life and legacy of the Scots-born industrialist Andrew Carnegie featuring rare personal artefacts. One of best things about Scotland Week is the chance for New Yorkers and visitors to meet and speak with the lovely people from VisitScotland, the national tourism agency for Scotland, in town specially for Scotland Week. The VisitScotland guys pitched up with the Coo Van at locations throughout New York City to chat about all things Scotland. Visitors to the Coo Van are also able to enter a special competition to win tickets to a special VisitScotland event on the Friday evening. The adorable mascot Hamish Jnr was there for selfies while Hamish the Coo Van also takes part in the Tartan Day Parade. 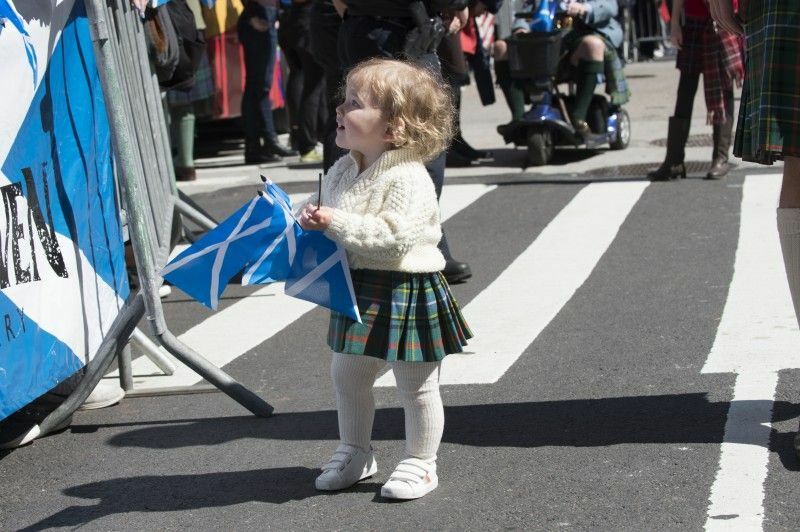 6 April: Tartan Day Parade! Next year is an extra special one for the Scottish-American relationship, and Scotland Week. Many Scots will know that 1320 was the year the Declaration of Arbroath was signed - declaring Scotland's sovereignity from the Kingdom of England. Signed by Scottish nobles and delivered to the Pope, this famous declarations is arguably the most important document in Scotland's entire history. However, what is lesser known by both Scots and Americans is how it inspired Thomas Jefferson when he drafted the American Declaration of Independence. This remains a topic hotly contested by historians, but nonetheless is expected to be a major theme at next year's Scotland Week. The custodians of the Declaration, National Records of Scotland, have already begun making plans which will include academic symposiums, exhibitions, and even pageants centring around this unique connection.